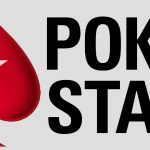 The Grand Final of the 2015/16 European Poker Tour “promises to be the biggest and best yet” according to PokerStars Director of Live Events Edgar Stuchly. Stuchly´s comments accompanied the release of the EPT Grand Final schedule – an action packed series of seventy-nine events that will take place at the Monte Carlo Bay Resort & Hotel from April 25th until May 6th. Cash games will also be running for up to eighteen hours a day. The size of the tournament schedule is mainly due to the EPT combining forces with the French Poker Series (FPS) – the €1,100 buy-in FPS Monaco Main Event and €330 buy-in FPS Monaco Cup starting on the third day of the series (April 27th). Before then, the first of four “high roller” events gets underway – the €10,300 buy-in High Roller starting on April 26th. The other three events are spaced throughout the schedule and include a €100,000 buy-in Super High Roller (April 28th to 30th), a €50,000 Single-Day Super High Roller (May 1st), and a €25,750 buy-in High Roller (May 4th – 6th). One of the records that PokerStars will be aiming to break is the number of players entering the EPT Main Event between April 30th and May 6th. The current record of 935 players dates back to 2009, when Pieter de Korver took down the event for a €2.3 million payday. As always our flagship events will attract the best players in the world to Monaco, but we have a wider range of tournaments than ever before this season, giving everyone a chance to compete. We are also hoping to break our record for the number of online qualifiers. We look forward to seeing thousands of players at our Season 12 finale. 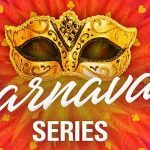 Although the supporting events start top-heavy with satellites into one or other of the feature tournaments, they develop into a decent schedule. There will be Texas Hold´em events for senior and female players, and everyone can get involved in the Shootout and Bounty tournaments. Also among the supporting schedule are PLO and PLO Hi/Lo tournaments, a mixed 2-7 Draw event and a HORSE tournament. Buy-ins for several of the supporting events start as low as €120, so there is plenty of action for players on a tight budget to get involved with. 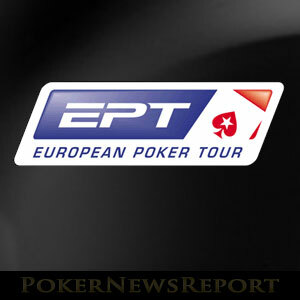 A special charity event will take place on Saturday April 30th for the EPT´s official charity “Right to Play”. The €150 buy-in tournament (with unlimited €50 rebuys) will feature hosts of celebrities and Team PokerStars Pros, and will aim to add to the €30,000 raised by the EPT in the last year for the benefit of underprivileged children. 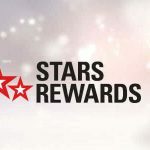 Although there is likely to be plenty of unplanned fun at the tables, PokerStars is organizing #StarsFun events away from the felt. An EPT Grand Final Hexathon is planned to test players´ skills at field hockey, soccer, American football, basketball, golf and tennis. There will also be a Multi-Sports Video Game Simulator contest, with seats being given away for the Barcelona Estrellas Poker Tour Main Event in August via daily and overall leaderboard competitions. It all sounds like a great deal of fun, and satellites offering packages to the EPT Grand Final are already running on PokerStars.